A career as an accountant is an exciting prospect. Working with clients and helping small and big businesses owners keep on top of their financials and tax obligations can be life-changing work. Whether you want to work for a small firm, a large firm or start your own firm, working as an accountant can take on many different forms. Before you start your career, let’s take a look at what tasks and responsibilities accountants have on a day-to-day basis. At its core, an accountant is a qualified financial expert who helps individuals and/or businesses with their accounts. This could include a wide variety of tasks, from analysing and reporting on financial records to preparing tax returns and all associated paperwork. 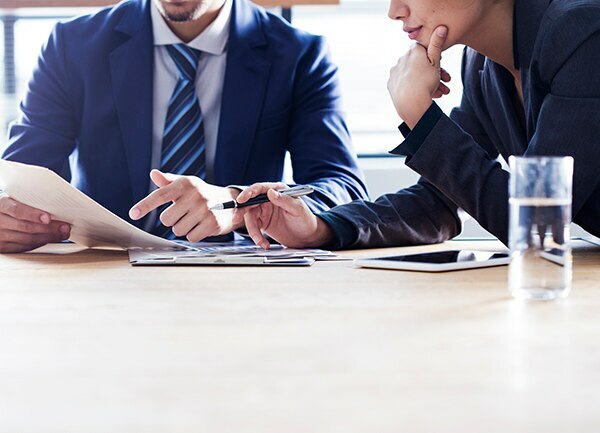 Not only can accountants help perform regular financial tasks and reporting, but they can also act as a strategic advisor for businesses, helping them to become more profitable. What tasks does an accountant perform? One of the core functions of an accountant is helping clients prepare and lodge their tax. The Australian Taxation Office (ATO) has a number of rules and obligations that everyone is required to follow, from freelancers and sole traders to small businesses and profitable companies. As an accountant, you will be required to stay on top of the ever-changing tax landscape, so you can offer your expertise to your clients. You will help your clients understand their potential tax deductions, calculate their capital gains and determine any potential write-offs. GST and BAS, not to mention payroll and super, can be a huge headache for new business owners or expanding businesses, that’s where you can provide real value to your clients. Even with qualifications, being an accountant requires continual training and upskilling as you stay on top of financial trends and tax obligations. Many accountants will also be trained to use cloud accounting software, such as QuickBooks to communicate to their clients, monitor their progress and complete their reporting. You will need to be up-to-date with the ever-changing technology space surrounding the accounting and financial industries.